We are conducting a massive social experiment right now called daycare. Worldwide, the daycare industry is booming. More households are participating in the experiment than ever before in history. Just last week I heard an advertisement inviting me to get in on the multimillion dollar daycare industry by becoming a franchise owner of a certain daycare chain. 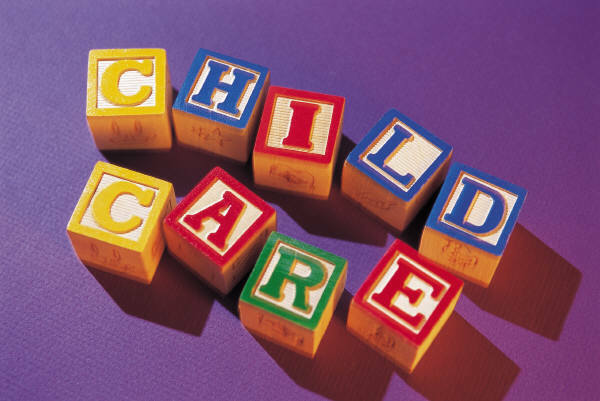 Daycare promises a lot of things: your child will be better educated; more school-ready; have better social skills; etc. It’s not likely that Canadians will read Swedish psychiatrist David Eberhard’s new book about Swedish parenting. But the headline in the U.K. press says quite a lot: “Sweden’s liberal approach to raising children has bred a nation of ill-mannered brats.” Dr. Eberhard is asking Swedish parents to reclaim their parental role. In fact, the Swedish approach to raising children is not best described as “liberal.” Rather the Swedish approach is that the state has taken over raising children from parents through the state run daycare system — a phenomenon I have studied for several years as an educator and a writer. North Americans are presented with a vision of heavenly perfection in Swedish daycare but in reality, education outcomes are declining, teens are anxiety-ridden and misbehaving and the quality of parenting is suffering. Ninety-two percent of all 18 month to five year olds are in daycare in Sweden. Universality is a much admired principle and it’s true that this has been achieved. If you are even considering daycare for your children, please think carefully about how you are going to counter these effects and meet your parenting responsibilities as a Christian. I think it will be very difficult. You automatically lose influence with your children. This is measured in the amount of time they’ll spend in daycare, as well the fact that daycare often makes kids peer-oriented, rather than parent-oriented. Social skills are considered a benefit of daycare. However, according to Gordon Neufeld (Hold On To Your Kids), parents want to make sure peers don’t replace them as their kids’ moral guides in life. You do not want your children regarding their peers as their strongest influencers; peers do not have the capacity for sound moral guidance. If your children prefer the company of their daycare peers to their family, you could have a serious problem on your hands. There is a way to beat the need for daycare. When my husband and I were first engaged, we received what we consider to be our most valuable piece of financial advice. If you want to have one parent stay at home with your children when they are little, live off one salary from the beginning of your marriage. If you do this, you will buy a house that is affordable on that salary alone. Plus, it will force you to live within the means of that one salary. It’s easy to go down to one salary when you are used to it and your expenses are based on it. We followed this advice, and plowed my salary into our mortgage payments. We were totally surprised to discover that we were able to completely pay off our mortgage in three years. By God’s providence, my last paycheck before maternity leave paid off the last of our mortgage. I realize that there will be people for whom this advice won’t be an option. However, I think they are the exception, not the rule. If you are in a position to do so, I strongly urge you to at least consider this advice. It has made the world of difference for our family. Just think about it: who is going to be more invested in and do a better job looking after and training YOUR children – someone paid by the hour, or parents. It’s well worth making the sacrifice and adjusting your standard of living so that you can be at home with your kids. You only get one shot with them, and the time goes by quickly. Honestly, I don’t really believe that daycare workers are going to focus on the really important things in life like truth and moral values. I would only put my child in daycare as a last resort, and my plan is to avoid that last resort at all costs. Wow, paying off a mortgage in three years is an excellent plan, and probably helps with your long-term financial health. My 4 year old son has been in nursery (uk daycare) since 8 months old. He is the most adorable little boy and we have a fantastic relationship. Nursery has taught him how to interact with others, how to be independent but also how to include others and play as a group. He is bright, friendly, caring and well behaved. He respects me and his dad and is rarely naughty. I know most people are dead set against childcare at all, let alone full time ,but I honestly believe it has given my son the best start in life. Yes, I’ve missed parts of him growing up but I was there for his 1st words, first steps and an awful lot of other firsts. I now have a 5 month old daughter and I am off work on maternity leave. My son is still at nursery for 3 days a week and pre-school (attached to his primary school) 2 afternoons a week. Most would say this is unnecessary as I am home all day. Can you imagine how unhappy my son would be during the day if he is not constantly stimulated? I return to work in February – full time. My daughter will attend nursery full time too. It will be a struggle. Two children attending nursery will cost approximately £1500 per month but I cannot afford not to work. I feel extremely lucky that I have found a nursery that loves my children to bits. They invest an awful lot of time and energy teaching them – more than I could do at home – and I am grateful for their help in raising my children. Nursery teachers are low paid, unappreciated teachers. They are fully qualified to teach our children yet people regard them as merely ‘play dates’. More fool them! Thank you for your recent comment, I really appreciate it. I do not deny that many people say they feel their children appreciate and enjoy daycare – even preferring it to being at home. You are the parent and you need to make this choice for your children. But the statistics coming out of daycare do concern me. They do not paint the rosy picture that we are promised about the benefits of daycare for our children. The teachers I know say you can tell a chid that has been in day care versus a child that has been cared for at home by a parent, and its the children who were home with a parent who do better in the classroom, not those who were in daycare. The bigger point of my post was how you as a parent are going to make sure you maintain the attachment with your children that you need when you are away from them most of their waking hours, so that they come to you, not their peers, when they need moral guidance to navigate through adolescence. Have you read any of Gordon Neufeld’s work (this is a great article: http://www.imfcanada.org/issues/nurturing-children-why-early-learning-does-not-help)? (BTW, Gordon Neufeld is not a Christian as far as I’m aware). I’m not sure if you are a Christian. If you are, and if you hope your children to be as well, you will have to work very hard to have the time and energy to train them in the Christian worldview (daycare cannot do this) and the areas of their faith that they need to understand to be influential, faith-filled adults (daycare and the church can’t do this for you). Thanks again for your comments.